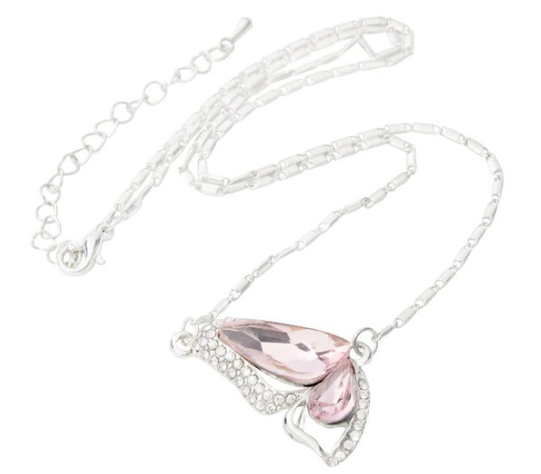 Crystal Butterfly Pendant Necklace Only $2.99 + FREE Shipping! You are here: Home / Great Deals / Amazon Deals / Crystal Butterfly Pendant Necklace Only $2.99 + FREE Shipping! Isn’t this necklace beautiful! You can snag this lovely Crystal Butterfly Pendant Necklace Only $2.99 + FREE Shipping right now!! This would make a guilt-free splurge for yourself, or you can snag it and stash it in the gift closet!